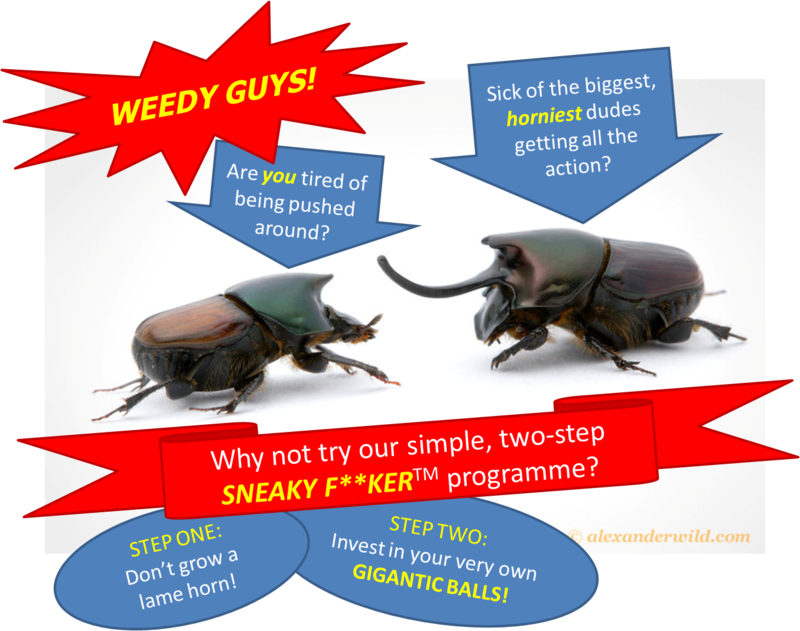 At the intersection of sh*t beetles, sneaky f*cking, and gigantic balls. For some time now, I’ve been meaning to write a blog post about one of my favourite papers: Leigh Simmons and Doug Emlen’s research into evolutionary trade-offs between weapons and testes. It’s a fascinating piece of research, encompassing an ingenious experiment and a broader investigation of metabolic trade-offs in male dung beetles of the genus Onthophagus.